LHS students helped raise money for cancer research by donating $1 to “walkout” of 4th block. Outside, students could participate in several activities and games, listen to music, and enjoy the beautiful weather. https://wjccschools.org/lhs/wp-content/uploads/sites/20/2014/06/DSCN1339.jpg 480 640 WJCC https://wjccschools.org/lhs/wp-content/uploads/sites/20/2017/10/Lafayette-High-School.png WJCC2014-06-23 15:54:102014-07-07 09:51:40Walk for a Cure! PLEASE BRING COPIES OF ALL LETTERS OF ACCEPTANCE FROM ALL COLLEGES TO THE GUIDANCE OFFICE. WE KEEP A RECORD OF ALL ACCEPTANCES WHETHER YOU DECIDE TO ATTEND OR NOT. ALSO: PLEASE BRING ALL COPIES OF ANY SCHOLARSHIP OR GRANT MONEY OFFERS TO GUIDANCE. AGAIN, WE KEEP A RUNNING LIST OF ALL MONIES OFFERED WHETHER YOU ACCEPT THE OFFER OR NOT. Penisula Sports Club awarded three of Lafayette’s finest with the 2013-14 “Athlete of the Year” title in their respective sports. 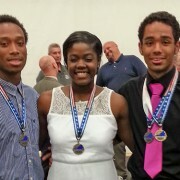 Pictured is Jahlil Green (Football), Keyanna Brown (Basketball), and Derek Holdsworth (Track). 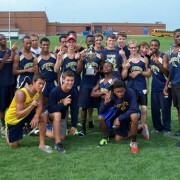 Rams track team wins the 3A East Region Championship! https://wjccschools.org/lhs/wp-content/uploads/sites/20/2014/06/boys_team.jpg 375 500 WJCC https://wjccschools.org/lhs/wp-content/uploads/sites/20/2017/10/Lafayette-High-School.png WJCC2014-06-02 21:27:582014-07-07 09:51:41Rams track team wins the 3A East Region Championship! 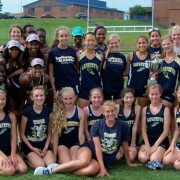 https://wjccschools.org/lhs/wp-content/uploads/sites/20/2014/06/girls_team.jpg 375 640 WJCC https://wjccschools.org/lhs/wp-content/uploads/sites/20/2017/10/Lafayette-High-School.png WJCC2014-06-02 21:26:122014-07-07 09:51:41Rams track team wins the 3A East Region Championship! Congratulations to the new French Honor Society Inductees! 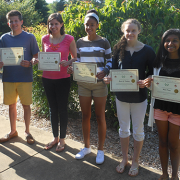 https://wjccschools.org/lhs/wp-content/uploads/sites/20/2014/06/french.png 375 563 WJCC https://wjccschools.org/lhs/wp-content/uploads/sites/20/2017/10/Lafayette-High-School.png WJCC2014-06-02 21:24:252014-07-07 09:51:41Congratulations to the new French Honor Society Inductees!